So, Bonn was another of those cities that happened to be a short way from where we were staying, and while we could have found something to do in Köln for an extra day, I had this urge to go for a daytrip to one of the nearby cities. Anyway, I really have no idea when I’m going to be able to get back to Germany, so I might as well take the opportunity to visit as many places as possible. Actually, I initially wanted to go to Bonn because it appeared to be at the end of the Köln S-Bahn, though as I mentioned in my post on Frankfurt, when I arrived in I discovered that the S-Bahn over here is not necessarily the same as the S-Bahn in Berlin. Anyway, that’s beside the point because when I was planning my trip I decided that I wanted to go to Bonn, even if it was just to see what was there. As it turned out quite a lot, particularly since I was fascinated with where the U-Bahn in Koln, and by extension Bonn, happened to go. As it turned out a rather interesting riverside village called Königswinter (which I will get to in a little bit). The other thing that stood out was that everybody’s favourite deaf composer, Ludwig von Beethoven, was born here, and you can even pay a visit to his house (though unfortunately you aren’t allowed to take photos in the museum). I seem to be getting a bit ahead of myself here because my trip to Bonn actually started at the Köln Hauptbahnhof where we caught a train that was heading up there. Okay, the train trip was basically a train trip, unless you enjoy traveling by train (which I do, and is one of the reasons I love going to Europe) then it can be an experience in itself. We had also discovered that you could use our Eurail pass on the S-Bahn, which meant that we ended up saving a bit of money with regards to the fares (and we probably could have done that when we traveled to Mainz, but I didn’t realise that at that time). However, the reason that I wanted to make mention of the train was that as we were lea ving Köln I saw this huge mural of the Army of the Twelve Monkeys painted on the side of one of the buildings. In fact it was rather bizarre and made me feel as if I had somehow been yanked into a fantasy realm. The problem was that it all happened so fast that I simply did not have enough time to grab my camera and take a photo of it – it was basically see it, my mind register what it is, I realise that it is pretty cool, I fumble for my camera, and suddenly it’s gone. Okay, I did go for a wander around the area later that night to see if I could find it again, but unfortunately I was out of luck. So, I sat back in my rather comfy chair, enjoying the fact that this trip was covered by my Eurail pass, and within the hour the train had pulled into the station at Bonn. As a railway station it wasn’t all that impressive, and we ended up descending into the passageway that allowed us to change platforms and to also make our way out to the city. One thing that did stand out was that the Light Rail System (or the Stadtbahn) went all the way from Cologne to Bonn, and on our way back we almost jumped on the tram, which would have resulted in us taking much longer to get back to Cologne. Fortunately, upon seeing that it was a tram (or more precisely a Light Rail Vehicle, though I have grown up calling them trams so I continue to call them trams) I realised that I was on the wrong platform. One of the biggest problems that I ended up facing in Europe was finding a place to have some breakfast. The reason for this is because I am used to a certain style of breakfast, which usually consists of bacon and eggs, or simply toast and vegemite (though I will also have yogurt and fruit). However it seems that not everybody has my view on what constitutes breakfast. Interestingly in Germany a cheese, ham, and lettece roll is breakfast where in my mind that is definitely lunch. Even in the hipster parts of the cities (does Germany have hipsters?) you aren’t going to get smashed avocado and eggs benedict – it just isn’t something that the Germans are all that partial to (though do expect lots and lots of bread). Anyway I did eventually find a place where I was willing to have something to eat, and ended up having a coffee with a croissant. This wasn’t the first time I have had a croissant, but before I arrived in Europe for this holiday I hadn’t had one. As it turns out they are not as bready as I expected them to be – in fact they are really light and buttery. 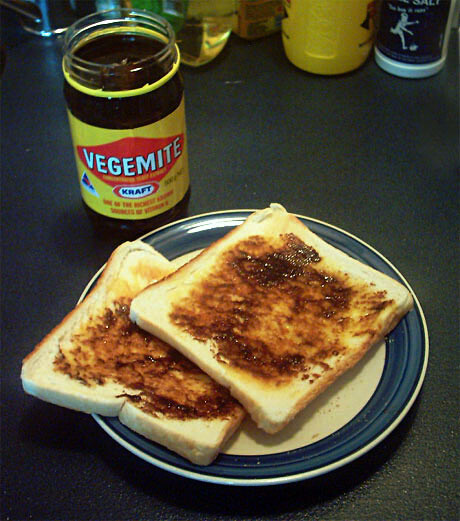 However I am quite disinclined to try any back here in Australia because all I can think of is how us Australians take somebody else’s idea and completely stuff it up. Okay, maybe I should try a croissant when I go to Starbucks tomorrow morning, but for some reason the thought of having a croissant at Starbucks fills me with dread. The other thing was their coffee, something that I started to notice as I was heading north. The thing with me is that for some reason when I am in Melbourne I have tea in the morning and coffee in the afternoon (and beer at night). However when I am not in Australia (or even Melbourne) I tend to drink more coffee than tea. I’m not really sure why I do that, but for some reason I do. Anyway, the coffee is basically black and comes with two tubs of cream that you pour into the coffee, which actually makes for the really nice coffee. The thing was that as I left Beligium and headed towards Paris I noticed that the coffee became progressively worse, until I hit London where the coffee was so bad Caffe Nero was giving it away for free. On the subject of breakfast, the cafe where I ended up eating my second croissant was across from an old city gate. In fact one of the really cool things about these cities is how you will wander around them and suddenly come across these old gates. What is interesting though is that the cities don’t actually have walls anymore, but apparently that is because when Napoleon went storming across Europe he ended up pulling them all down. This is reasonable because city walls would prove to be a thorn in a conquering army’s side, especially when they move on and the city decides to revolt against the ruler – if the walls were still up it would mean that the conquerer would have to then go back and conquer the city all over again. This was especially an issue when it came to the German since they were so used to ruling themselves as opposed to being ruled from abroad. One thing I also noticed was that a couple of the cities even had a green belt around the altstadt, and while a friend did suggest that this was part of the city planning, the green belt, and the remains of the gates, seemed to be ironically in the same place. It is hard to ignore the fact that Beethoven was born and raised in Bonn, but then again I’m sure any city that has produced somebody as famous as Beethoven are going to be pretty proud of it. Well, now that I think about it when we are dealing with places like Paris and London, so many really famous and influencial people came from there that it is hard to actually suggest one particular person is actually the best. However, when we have a city like Bonn, which as actually rather small (but the fact that it has a Stadtbahn, in my brother’s eyes it isn’t a town, it is a city), one famous person is usually enough to capture everybody’s imagination. Anyway, as I mentioned you can’t avoid all of the Beethoven references, especially since there is a huge statue of him in the Munsterplatz. I should mention that the cathedral is actually called the Munsterdom, not Beethoven’s Cathedral – I only made the connection because more likely than not Beethoven probably wandered in there, even if it was to simply have a look around. Since this post is not about Beethoven, but rather about the town (or city, because cities have Stadtbahns) that Beethoven grew up in, I haven’t done any research on Beethoven (not that I actually do any research – I just write stuff down that comes to mind) to be able to comment on whether he was Catholic or not. Anyway the Munsterdom was like your typical European Cathedral, not that I was really all that bored wandering into cathedrals – in fact the first place we went when we arrived in a new town (or city) was to go into the cathedral and have a look around. Okay, we didn’t do that in Paris, London, or Amsterdam, (or even Brussels come to think of it), but that was because those cities were pretty big, and there were a lot of other things that I had planned to do there before wandering into a church. Still, even though as some would say that it was just another church, it was a church and each of the churches had some unique characteristic about it – in a way they were works of art in and of themselves. After wandering around the church we then went to look for the Beethoven house, which I have to admit was rather difficult because it happens to be hidden down a side street, and the sign pointing to it is actually pointing in the wrong direction. However, as we wandered around Bonn looking for it we did happen to wander past the university, the old townhall (or Altes Rathaus), and through the Marktplatz, which even in 2016 is still basically a marketplace since during the day merchants descend on the place and set up their stalls, and like the other marketplaces that I visited you can actually buy a lot of interesting things from produce to art to secondhand books. We did eventually find the Beethoven house, however my adventure inside the house will be left for another time (not that I can remember much from it, namely because we weren’t allowed to take photos, and I simply rushed through looking at the place without taking any notes, or even just simply taking in the magnificence of the place. However I have to admit that I have never been a huge fan of Beethoven so I only came here because, well, I was in Bonn and I probably should check it out. The other reason was that I had an appointment in Königswinter. As we were wondering around the streets of Bonn looking for Beethoven’s house I saw something that looked rather odd – a railway platform in the middle of the road. Okay, I have seen similar platforms in Melbourne, though they are designed to allow wheelchairs to get onto the low floor trams. However these higher platforms are designed for what they call the high floor trams. Okay, we do have a lot of high floor trams in Melbourne, but we don’t have platforms to allow wheelchair bound people to be able to board them – if one comes along then, well, tough, you are going to have to wait for one with a low floor to arrive (which can be annoying in and off itself, though at least the Tramtracker app tells you what type of tram is it, and Yarra Trams are slowly replacing the older, highfloor, ones, especially since building a platform or a highfloor tram is much more expensive than building one for a low floor tram). Anyway, we actually had to catch one of these trams to get to where we were heading – a small town on the banks of the Rhine called Königswinter. The reason that I wanted to go there was because I noticed, when I was pouring over the maps back in Australia, that the Bonn U-bahn, went all the way out there, and I happen to be one of those people that like catching trains (or high floor trams as the case maybe) to the end of the line. Well, Königswinter is actually not the end of the line, namely because the tram goes a couple of more stops beyond that, but it was what I discovered at Königswinter that caught my attention – actually there were a couple of things, but one of them really stood out. First of all there was a Sealife Aquarium. Actually, come to think of it there seems to be Sealife aquariums everywhere (with the exception of Singapore because that is one aquarium that doesn’t seem to be owned by Sealife, but they pretty much own every other one that I’ve seen, including two in Sydney). However, as it turned out we missed out on visiting the aquarium by something like five minutes, which upset my brother somewhat but he eventually got over it – anyway there are plenty of aquariums elsewhere that he can visit (and I wanted to go for a bit of a hike down the mountain). Which is the main reason that I came all the way down to Königswinter – Drachenfels. Mind you, like a lot of places, there was something at Drachenfels that I missed which I actually really wanted to see – the reptile park – though there was more to this mountain than just the park. First of all there aren’t one, but two, castles perched on it, a ruined one on the sumit, and a palace about halfway up. However, halfway between the palace and the bottom (or the main road as the case may be) is a cave in which lies a reptile park. This is important to note because the cave under Drachenfels is, according to legend, the the cave where the dragon that Sigfried killed and then bathed in its blood to become immortal (hence the name Drachenfels). Once again, like other places that I have visited, Drachenfels deserves a post all of its own, so I will leave it at that. However, what I will do is post a video of the train that takes you from the road up to the peak (with a stop halfway up so you can visit the palace). Mind you, when we did catch the train there was no reference there, or at the station, or at the summit, that there was a reptile park in the dragon’s cave, and I only discovered this afterwards (particularly since I thought the castle at the summit what where Sigfried lived, even though the action of the Nibelungenleid actualy took place in Burgandy). Once we had finished our tour of the mountain, we returned back to the base, and after trudging around Königswinter looking for a cash machine (which was almost as hard to find as a place that actually accepted credit card), we ended up grabbing some lunch, a beer at was what was effectively a country pub (or at least a suburban pub since you can get to Königswinter by the U-Bahn which suggests that it is probably a suburb of Bonn), and then a bit more of a wander around the town before heading back to Bonn (namely because the Sealife Aquarium had unfortunately closed its doors). I probably should mention that the stop we caught the tram at was actually a vehicular ferry across the Rhine, and as a river the Rhine is actually pretty massive (I believe it might even be wider than the Murray River in Australia). Also people seem to come down here for a bit of a holiday, probably more for bushwalking than for skiing since the numerous trees on Drachenfels means skiing is probably not the best sport to perform here (unless it is cross country skiing). However I’ve never been skiing, and I am unlikely to ever go skiing so that is basically a moot point. As for Bonn, well I was initially planing on going for a but more of a wander around the city and visit some of the other gardens and buildings, but it was getting late so I decided that I would basically call it a day. Well, not really because when we found ourselves back in town some of the pubs had opened so I felt that it was a good time to visit a couple of them before heading back to our hotel in Cologne. The pubs weren’t all that bad, but they weren’t particularly flash either, but then again Germany doesn’t seem to have the hipster community that Melbourne (or even London) has. Sure, some have suggested that there are hipsters on the continent (especially in Denmark), but from my experience in Europe (which isn’t huge by the way), hipsters in Anglo-countries seem to be trying to be European, which is what makes them hipsters. Breakfast in Bonn by David Alfred Sarkies is licensed under a Creative Commons Attribution-NonCommercial-ShareAlike 4.0 International License. If you wish to use this work commercially please feel free to contact me.